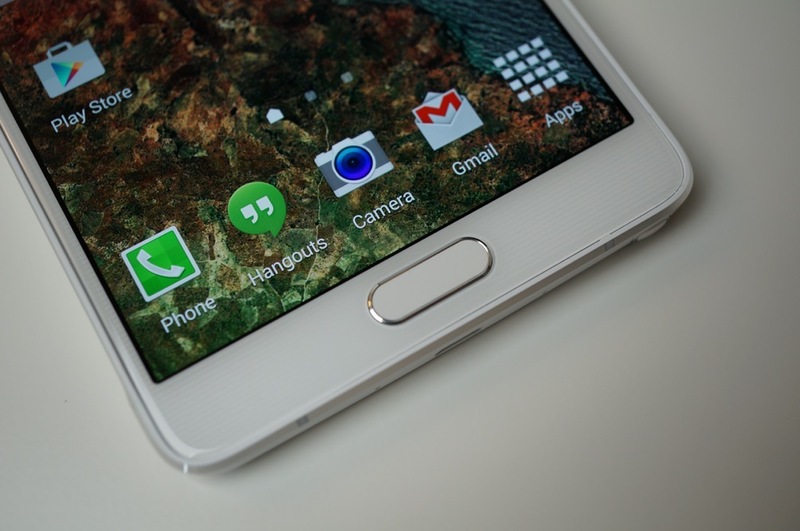 A new report is currently making the rounds, claiming that Samsung is set to produce a 5.9″ Ultra HD Super AMOLED display, possibly for the Galaxy Note 5 in 2015. 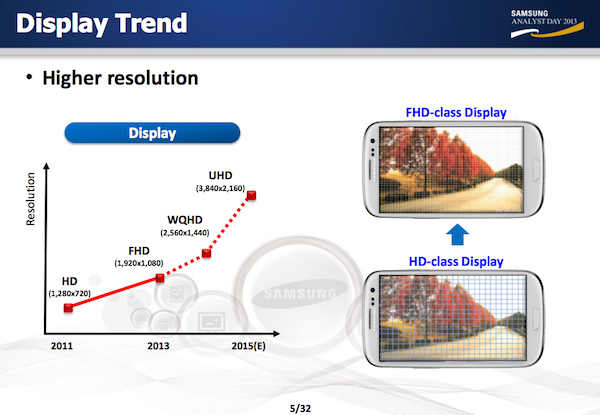 This news stems from Samsung itself, who published data during its Analyst Day back in November of 2013, which showed a chart of display resolutions for upcoming years. This year with the Galaxy Note 4, Samsung launched its most impressive display yet, being a 5.7″ QHD (2560 x 1440) Super AMOLED panel. The 2015 plan, as stated in their graph, is a UHD Super AMOELD display featuring a resolution of 3840 x 2160, size unknown. The reported 5.9″ size comes from a single uncorroborated source of PhoneArena’s, so you can decide to take that for whatever it is worth to you. It is stated that mass production of these UHD panels would begin in August of 2015. While consumers and developers still wrap their heads around what to do with so many pixels in a smartphone, companies are continuing to push forward it seems, simply hoping to be the first to offer such an impressive specification in their phones. Sorry, folks, QHD was so 2013. It’s all about UHD now.